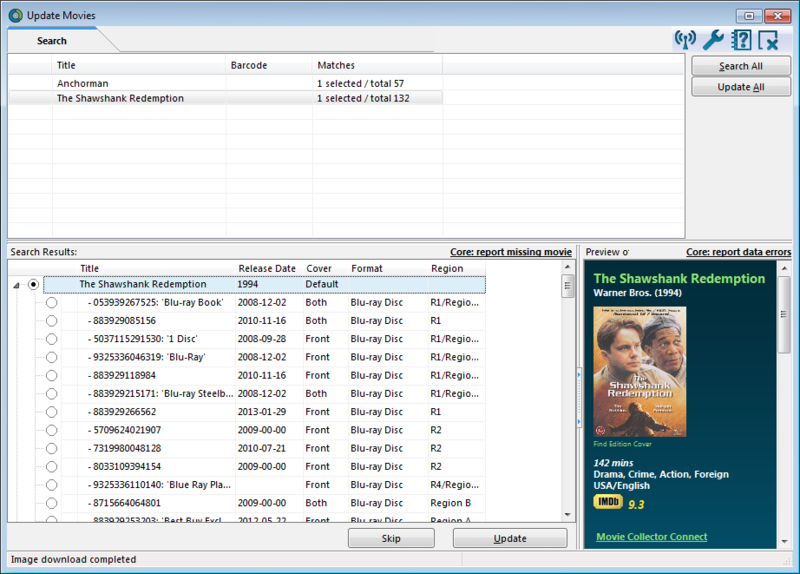 Movie Collector can have links to your movie files (.avi, .wmv, .divx, .mpg, .mp4, .vob and many more) to your collection. It can also scan for your ripped DVDs (Video_TS folders). In Movie Collector, click the “Add / Link movie files” button. In the next screen, click Choose to browse to your movie directory and click Scan to scan the folders containing your movie files. Depending on how you’ve named your files you can either let the screen get the title from file or folder name. Before adding your movie files to your collection, you can rename your files straight from the search results. Click the title in the left column and correct the title. You can link your movie file to an existing movie in your database. This is cool because Movie Collector will add a link to the movie in your database that you can use to play the movie file when clicked! Select the movie file you want to link and click the Link Selection to Existing Movie button. A new screen will open. 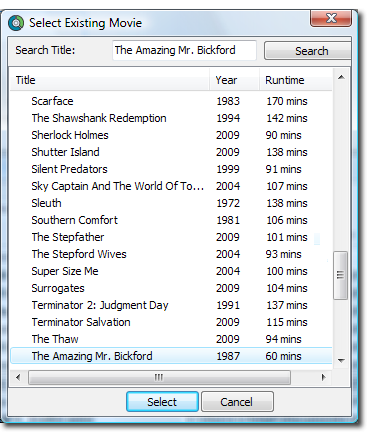 Locate the movie you want to link to (search for it) and click Select or Select Movie. In the Details Panel for that Movie, you will now get a Play button to start playing the movie file. Click this button to add all checked movies to your collection. Movie Collector will open the Update Movie Automatically screen. If the titles are correct, Click the Search All button. If you need to make a change in a title, right click and choose: Edit Criteria (or select the movie and press F2). Here’s a video showing you how to add movie files to your collection. It’s made in Movie Collector 7 for Windows. The process should be same on your version.